Bayswater is a modern yet comfortable, cutting edge while still a cultured type of district of London. There’s a strong sense of community in the Bayswater rentals market; most locals tend to know their neighbors. The majority of the housing in the area is made up of smart, large white stucco fronted buildings that are four or five stories high. These buildings split into apartments and center around blossoming garden squares. Bayswater is also home to contemporary and high-class apartment blocks. While Bayswater rentals mostly dominate the property market, there are also some quaint row houses. Also, there are five and six bedroom family homes in and around Connaught Square. Once here, residents tend to stay, as some are families taking advantage of the good schools in the area. There are also those who are professional couples and singles appreciating the easy commute to Central London. For certain, all Bayswater residents enjoy the infinite amount of local shops, restaurants, and amenities. The culturally diverse inhabitants of the Bayswater rentals market live in one of London’s most architecturally traditional areas. London’s Arabic, American, and Greek communities all make their homes in pillared Georgian terraces and neat garden squares. What’s more is that Hyde Park’s landscape is almost at their areas doorsteps. Edgware Road is London’s Arab high street. During the summer, the air is filled with the scents of barbecues, shisha pipes, and of the sounds of Middle Eastern and North African music. The Americans, meanwhile, tend to flock to Whiteley’s, a century-old department store. Want to know more about Bayswater Rentals? Bayswater’s cultural and social mix reflect in the amazingly varied restaurants and food stores in the area. One of the big attractions of Bayswater is Whiteleys Shopping Center. A place that is home to a host of high street names, as well as boutiques, restaurants, and a cinema. E&A Moda, located in the shopping center, is a prime destination for designer outlet shopping seeking luxury at desirable prices. Stocking favorite brands such as Prada, Gucci, D&G, Burberry and Marc Jacobs; this store prides itself on sourcing unique pieces at a discounted cost. If you’re looking for a fantastic dining experience, Bizarro, an authentic Italian restaurant, offers the true tasted of Italian cuisine to its valued customers. This favorite local eatery invites you to relax and dine in an Italian style. Combining contemporary elegance and an intimate ambiance is their specialty. This refined dining experience has been appreciated by the locals for many years for giving substantial portions at affordable prices. Victoria, a pub that is purely patriotic Victoriana, provides a truly fascinating insight into a strong part of English history. This is in addition to offering a very pleasant drinking and eating venue. The downstairs area is one big bar with fireplaces, littered with unusual artifacts and a comfortingly local feel. While the room upstairs houses open fires, comfy sofas and leather armchairs. It captures the mellow feel of how the library of a Gentleman’s Club might be. Charlie Chaplin and Winston Churchill used to drink here, which continues to make this pub a historic landmark. For a night out on the town, the younger crowds flock to the Club Harlem. Known for its late night drinks and a small selection of pub grub, Harlem is a late night club for locals to quench their thirst with some cocktails and get their party on. Like most late night clubs, the bar is underground – ensuring that the awkward club dancing that takes place will be away from the public eye. The vibe is refreshingly laid-back, and the DJ line-ups benefit from Baker’s music industry connections. 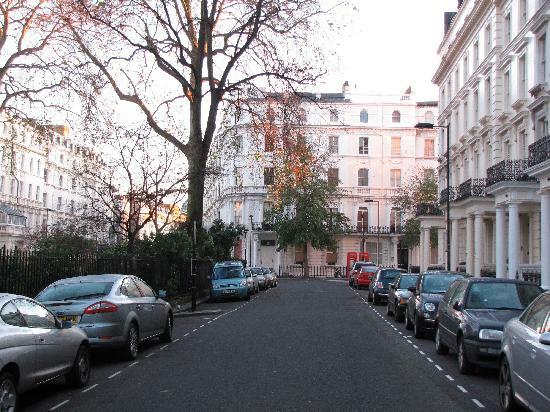 Bayswater is well known for its proximity to London’s greatest green space, Hyde Park. Offering many activities, Hyde Park offers the likes of football, tennis, swimming, cycling and horseback riding. Hyde Park also hosts many different events, from rock concerts to Proms in the Park, to the annual Winter Wonderland. Kensington Gardens, a 270-acre green park, lies immediately to the west of Hyde Park. This spacious greenery includes pretty Italian gardens with fountains to enjoy as well as the Diana Memorial Playground. Once being the private gardens of Kensington Palace, this park is now considered one of the Royal Parks of London. Bayswater has an Underground station in Zone 1, offering Circle and District Line services. Other nearby stations includes Edgware Road, Lancaster Gate, and Paddington. The Paddington station provides services to the western suburbs and beyond to destinations including Devon, Cornwall, and Bristol. There is service to Wales, as well as the Heathrow Express, which will take you to the airport in 15 minutes.